While World Cup favourites and hosts England will field a hyper-attacking lineup designed to aim for 350-plus totals, Australia’s top order group has a more conservative, old-school feel to it. 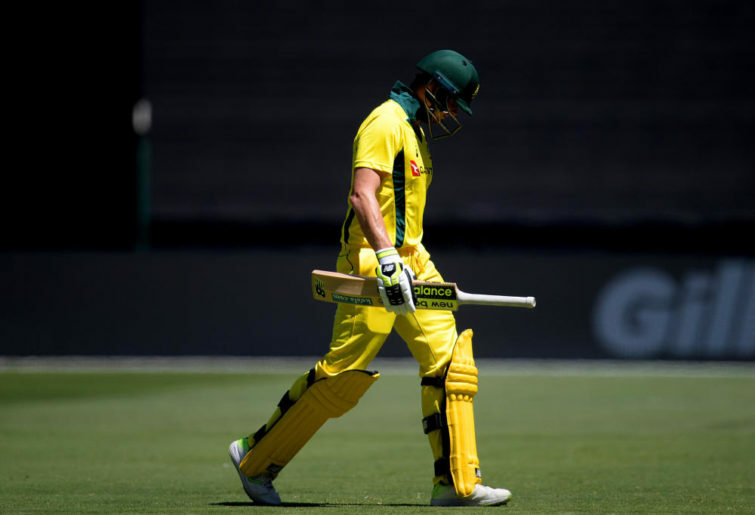 Among the eight batting options Australia included in their 15-man squad, only two of them are batsmen who look to grab the game by the scruff of the neck – Glenn Maxwell and David Warner. Otherwise, Australia picked a wicketkeeper in Alex Carey who works the ball around nicely but has no power game, and five batsmen who like to start their innings slowly and then build momentum. Those batsmen are in-form openers Aaron Finch and Usman Khawaja, returning star Steve Smith, prolific veteran Shaun Marsh and struggling all-rounder Marcus Stoinis. Although all five are good ODI cricketers, not one of them would intimidate an opposition attack. Not until they are well set, at least. Any decent white-ball batsman is dangerous when they’ve played themselves in and are seeing the ball like a watermelon. What a lineup requires, for optimum balance, is several batsmen who bowlers worry about from ball one. England, for example, have five batsmen in their top seven for whom it is normal to get off to a flying start: Jos Buttler, Jonny Bairstow, Jason Roy, Ben Stokes and Moeen Ali. In fact, you could argue they have six because captain Eoin Morgan has become a very attacking ODI batsman, with a scorching strike rate of 105 over the past year. 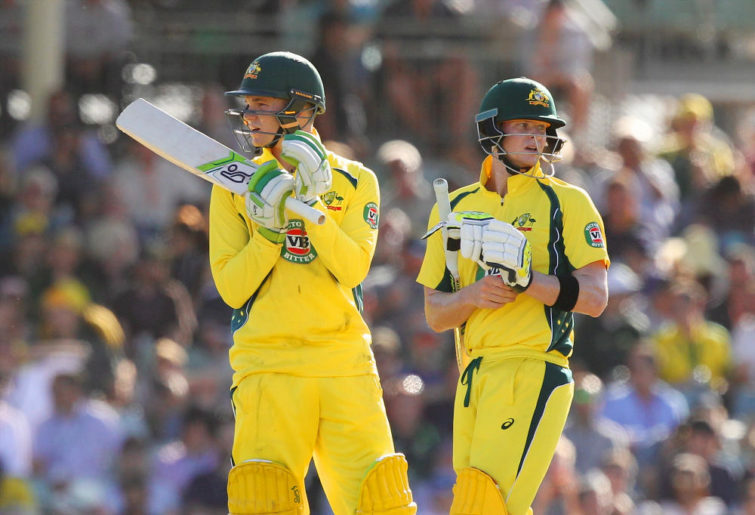 That’s not to suggest Australia should have stacked their World Cup squad with hitters. They tried that unsuccessfully last year when they over-corrected and loaded up on too many cavalier batsmen. Instead, it is about trying to find the correct balance between aggression and stability in your batting lineup. Australia now have no choice in the World Cup but to field a top seven which features four fairly slow starters and a nurdler of a wicketkeeper. That’s too cautious. The biggest issue for Australia is that, if this safety-first batting strategy doesn’t succeed, they have no Plan B – there is no other batsman in the squad who can add a more aggressive edge to their top seven. Listen as The Roar’s new podcast, Game of Codes, breaks down the Australian World Cup squad. The squad Australia picked is very solid, don’t get me wrong. It is a unit which can win this World Cup. The key change I would have made though would have been to leave out one of the seven specialist bowlers picked in favour of a batsman who offers something different. Australia had two good options in that regard in Peter Handscomb and Ashton Turner. Handscomb reminds me of Mike Hussey in the way that he typically starts his innings quickly without taking risks. The Victorian does not need time to get settled at the crease before he can start scoring at a run-a-ball like so many of the other Australians. He is a middle order specialist, capable of either bunkering down in a crisis, rotating the strike nicely to let his batting partner attack, or taking on the responsibility of being the aggressor. Australia now have no middle order specialist like this in their squad. Turner, meanwhile, could have offered them a second destructive option for the middle order to back up Maxwell. Unlike Stoinis, who consistently gets stuck in the mud before building momentum, Turner gets going immediately. Stoinis can be very damaging once he has his eye in but the problem is that over his past 20 ODIs it has taken him far too long to get set. Middle order batsmen in ODIs rarely can afford to bat at a snail’s pace for their first ten overs at the crease but Stoinis has made a habit of doing just that. Yet if Stoinis can’t find form during the World Cup – he’s averaged 25 at a dawdling strike rate of 82 in his past 20 matches – Australia can only replace him with a top order, anchor-style batsman. The reserve batsman in Australia’s squad will be one of Shaun Marsh, Usman Khawaja or Smith – three players who are used to batting in the top order and having time to build an innings. None of that trio would be suited to batting at five or six if Stoinis needed to be dropped. This represents a worrying lack of flexibility in the Australian squad. Having seven specialist bowlers in the squad is nonsense. It is complete overkill. Six would have been plenty, and if any of those six succumbed to injury, they could have immediately been replaced with one of the bowlers playing one-day matches in England for Australia A. But if Australia’s cautious batting strategy is exposed they have no option to bring in a more dynamic batsman from outside of the squad to change the balance of their top seven. They have put all of their batting eggs into one basket, which is labelled: ‘safety first’.